Victoria, British Columbia, Canada – Bear Mountain Resort, an upscale 36-hole resort community located on Victoria Island, recently announced it will become the new host of the TELUS World Skins next June. As part of TELUS’ ongoing commitment to ‘give where we live’ and the event’s long-standing tradition of benefiting local charities, TELUS and organizers have selected The Queen Alexandra Foundation for Children in support of Jeneece Place as the benefiting charity for the 2010 TELUS World Skins Game. The event will be held June 21-22, and will feature the top names in international golf, each representing different countries. The intimate, relaxed setting of the Skins Game format allows players to engage with the cameras and the crowds as they compete against each other for pride, prize money and the event’s designated charity. 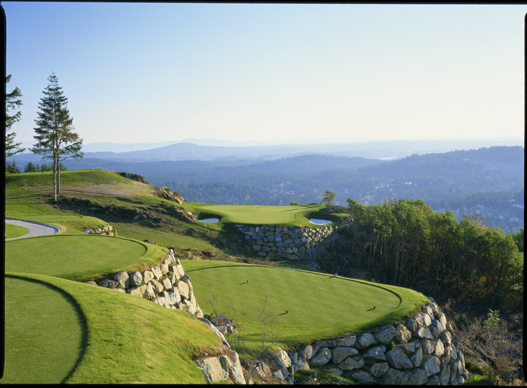 Bear Mountain Resort was first introduced in 2003 with the Jack and Steve Nicklaus co-designed Mountain Course. This June, Bear Mountain opened the new Nicklaus Design Valley Course, giving Bear Mountain the distinction as the only resort in Canada with 36 holes of Nicklaus Design golf. The Mountain Course is offers challenging terrain and spectacular natural beauty. A par-72, 7,212-yard layout, the course takes full advantage of its setting atop a 1,100-foot mountain, exhibiting dramatic elevation changes and awe-inspiring views. The par-71, 6,807-yard Valley Course is more forgiving and plays at a lower elevation than the Mountain Course. It alternates between 300 and 400 feet above sea level with different vistas and scenery, but equally spectacular. Bear Mountain also features a Westin Hotel, Spa, Athletic Club, a variety of restaurants and a commercial village to round out the complete resort experience. The 2010 edition of the TELUS World Skins Game will be the fifth time that it has been played in the province of British Columbia. Both Nicklaus North Golf Club in Whistler (1997, 2005) and Predator Ridge Golf Resort in Vernon (2000, 2008) have earned the distinction of being the only two courses in Canada to host the event on more than one occasion. Orlando, Fla. – Add PGA Tour golfer Justin Rose to the list of athletes on the move in Orlando. But the English golf star isn’t moving far. Rose, who lives at Lake Nona Golf and Country Club, recently purchased a larger home in the exclusive community for his expanding family. Rose and his wife, Kate, welcomed their first child, a son named Leo, in February. That means Rose’s former home, located just steps from Lake Nona’s famed championship golf course is now for sale. Lake Nona Realty is representing Rose, one of many PGA Tour golfers who live in this private golf course community owned by the Tavistock Group. Rose’s home, listed at $1.48 million is a 4-bedroom, 4-bathroom two-story residence with a charming center courtyard complete with sparkling pool/spa, summer kitchen and outdoor living. The modern, contemporary styled displayed 3,647-square-foot home is further enhanced by unique finishes ranging from Venetian plaster and textured wall treatments to elegant light fixtures and artful design. Four bedroom suites, including the main master on the first level and an additional suite on the upper-level that can be used as a second master, provide spacious living solutions for family and guests. 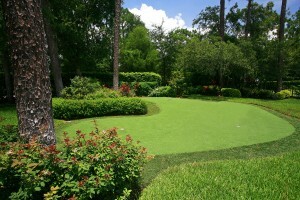 For someone looking to emulate the great golfer, the home comes up with a unique outdoor putting green fashioned after Augusta National’s noted 13th green. Orlando, Fla. – The Ritz-Carlton Destination Club, an equity-based, luxury destination club, and Marquis Jet, the leader in private jet cards, announced a new partnership this week. For the benefit of their respective Club Members and Jet Card Owners, this alliance presents the opportunity to blend the very best in the world of private jet cards with one of the leading providers of vacation home experiences. “Our discerning Ritz-Carlton Destination Club Members value the many conveniences club membership provides,” said Peter J. Watzka, executive vice president and chief operating officer for The Ritz-Carlton Development Company, Inc. (an affiliate of The Ritz-Carlton Hotel Company, LLC). “Now, they can also enjoy simplicity and peace of mind when they join the Marquis Jet Card program, backed by the NetJets® fleet. Marquis Jet Card Owners value having access to the convenience, quality and safety of the world’s premier fractional aircraft ownership program, NetJets, 25 hours at a time with no long-term commitment. Furthermore, Marquis Jet Card Owners select from 10 different aircraft types to meet a broad range of aviation needs. Club Members benefit from an exceptional level of service as they are paired with their very own member experience manager who serves as their primary travel liaison. The member experience manager coordinates everything from airport pick-up and pre-arrival provisioning of the residence, to unpacking and pressing pre-sent garments and arranging a complete vacation itinerary. Membership pricing ranges from the low $100,000s to low $800,000s per membership. A typical membership is approximately $250,000.